Alleviates the inner arm pain of carrying a heavy infant car seat and adds style. Includes two toy loops and super soft minky fabric. Offers a universal fit and is a perfect shower gift. Thick foam padding for comfort. 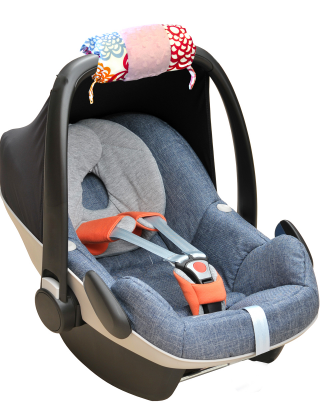 Coordinates with Baby Ritzy Rider Infant Car Seat Cover and Hood (not included).